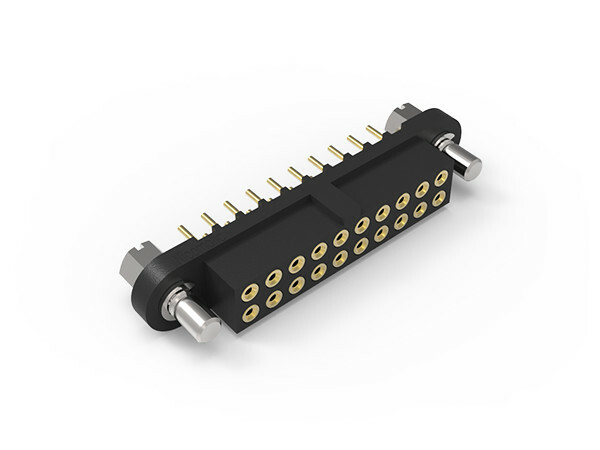 The NICOMATIC CMM 220 (LF) Interconnect system is a 2mm pitch connector with 2 rows of signal contacts, known for its reliability and security, adapted to the widest possible environments. With a large range of low frequency contacts from 4 to 60 ways, integral jackscrew fixing hardware and backpotting option for flexibility, the Nicomatic CMM range was designed for use in aerospace, instrumentation and control, military and transportation sectors with applications to date including IFES, HUD, flight controls, FADEC units, radar, missiles, optoelectronic sighting systems, space satellites, mobile radios, power supplies, UAVs and engine controls. Interchangeable and drop-in replacements for ITW McMurdo Micronector 220 and Harwin Datamate J-Tek Series. These ranges are comparable in fit, form and function. Vibration Severity: 0.75mm, 10g RMS 6 hours long random with superimposed sinusoid. No intermittencies when using an HSLI detector with a trip threshold of 2ns MIL DTL 55302F Test Condition III (147.1 m/s 2 (15gn) peak). Nicomatic CMM micro-connectors are designed to meet or exceed the relevant electrical and environmental performances described in MIL-DTL-55302F and BS9525-F0033 standards. These connectors are much used in PCB applications where vibration could cause breakdown to safety systems, such as aircraft electronics. Nicomatic has developed back potting services and shapes as a fast, flexible and reliable solution for harness protection in the CMM Connector Series. These backpotting solutions provide protection from moisture or debris to the contacts while offer strain relief to the wire and cable as an effective alternative to overmolding or backshells. Nicomatic CMM Series 200 and Series 220 use backpotting shapes made from thermoplastic plastics (Polyethylene or Polypropylene) rated to 100ºC.